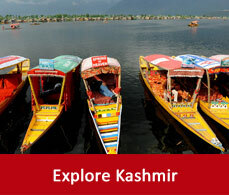 Srinagar is an all year round tourist destination. It changes its beauty in different season of the year and comes out with a new and more beautiful look. Here is a season wise detail list given for your convenience so that you can plan your trip accordingly. April comes with the arrival of Summer and with the end of September the Summer also leaves the valley of Srinagar. At that time Srinagar temperature records between 14 degree to 30 degree celsius. Sometimes the morning starts on a hotter note but with setting of the sun the weather becomes much cooler and pleasant. April to June is the best Srinagar tourist season as the temperature remains cool and pleasant at that time of the year. The tulips bloom in its magnificent colours during the starting of April as Srinagar arranges the famous tulip festival during that time. 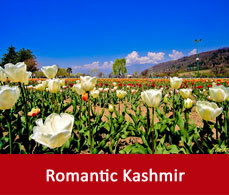 It is the best time for the sightseeing of Srinagar as the weather is comfortable. Srinagar does not have a proper monsoon season because of its location. You may enjoy the autumn as it starts in October. The weather in Srinagar becomes more chilly but the vacationers like the essence of fall during this season. Winter starts in October and continues till March. Tourists enjoy the cool and pleasant weather. At that time of the year Kashmir drapes in the cloak of snow. Tourists enjoy the beauty of the snow covered mountains and some also participates in some of the sports of the snow. Temperatures fall below 10 degree celsius and the frozen Dal lake becomes the playground for cricket. 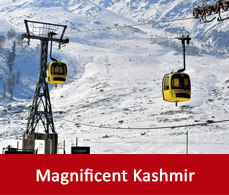 Winter of Srinagar has a different charm and offers its visitors a different snow draped beauty to enjoy.